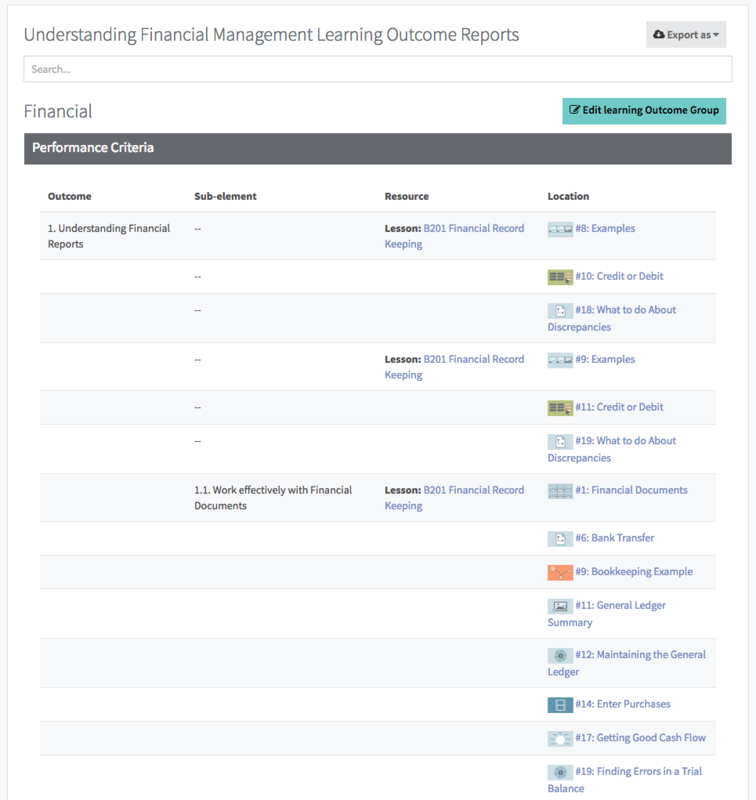 To access your Coassemble LMS analytics, click on the Reports button on the navigation pane. 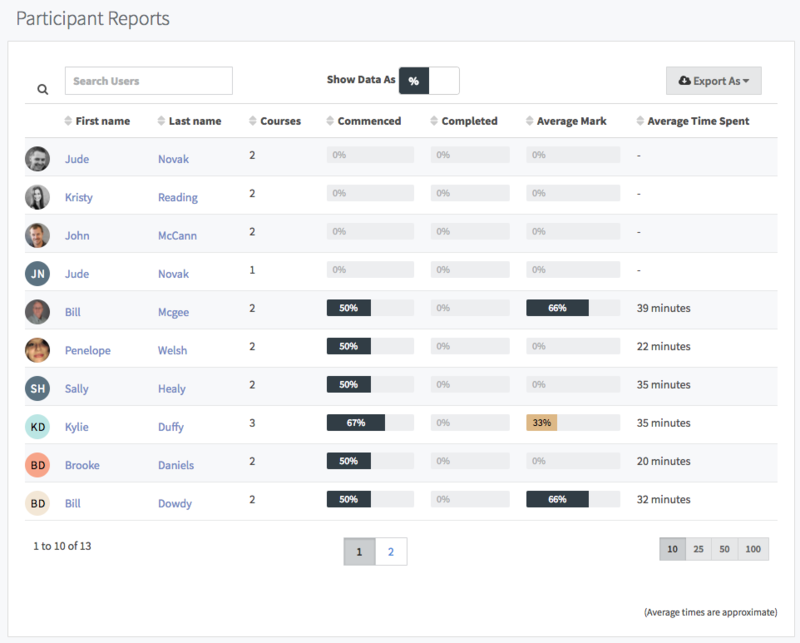 This is a more granular version of the inactive user list from the Active User Report. 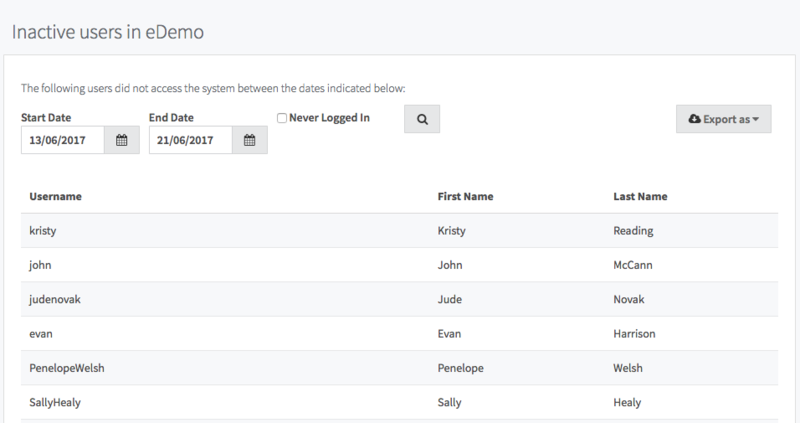 It provides the first and last names of each inactive user as well as their usernames. 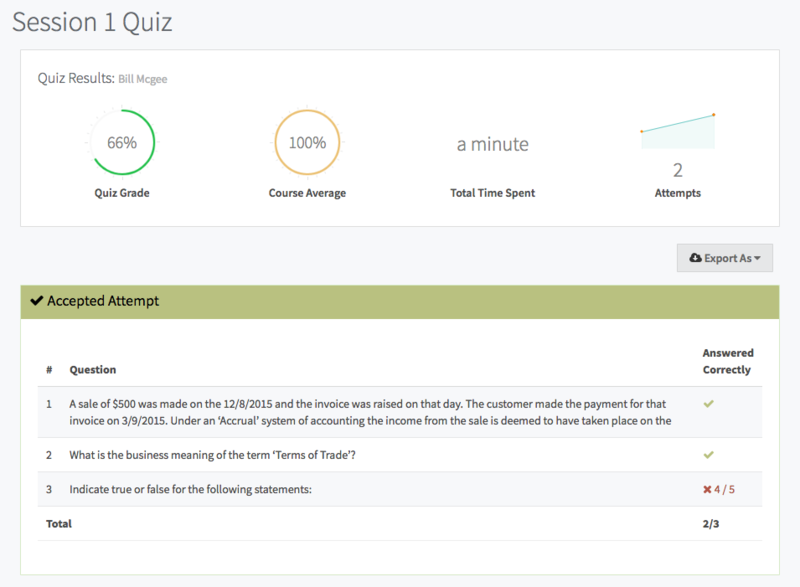 This list can be exported by clicking the Export As button at the top of the report and choosing your preferred format. 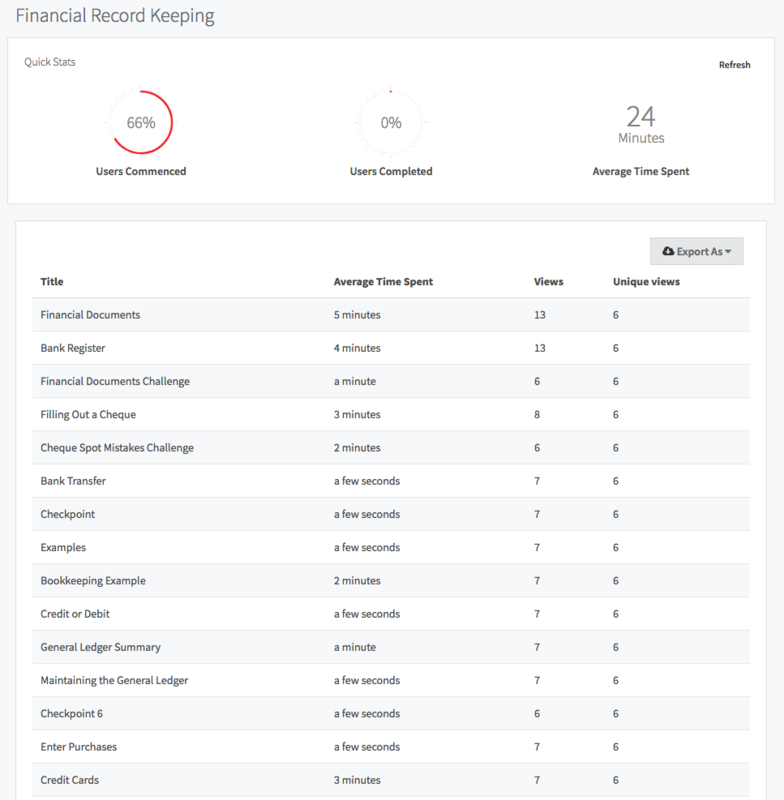 Excel and PDF are available. 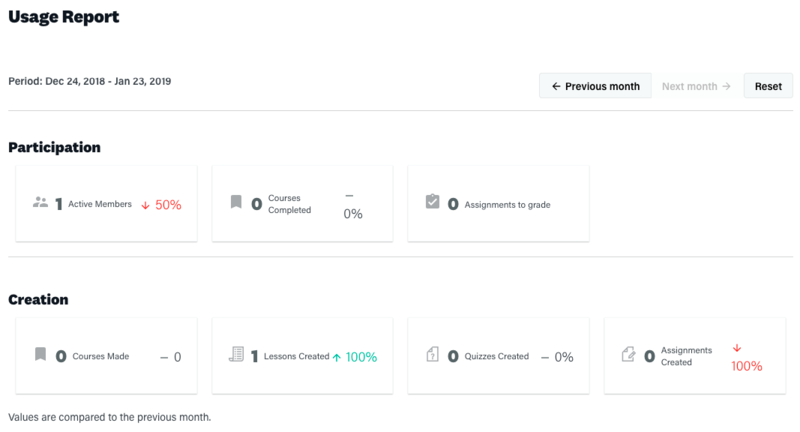 The Inactive User Report is a good way to see who isn't participating in your e-Learning. 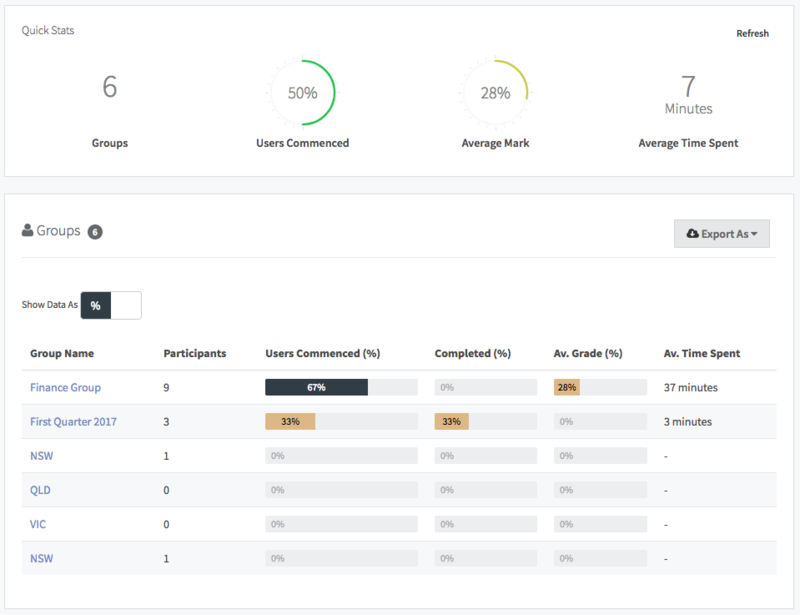 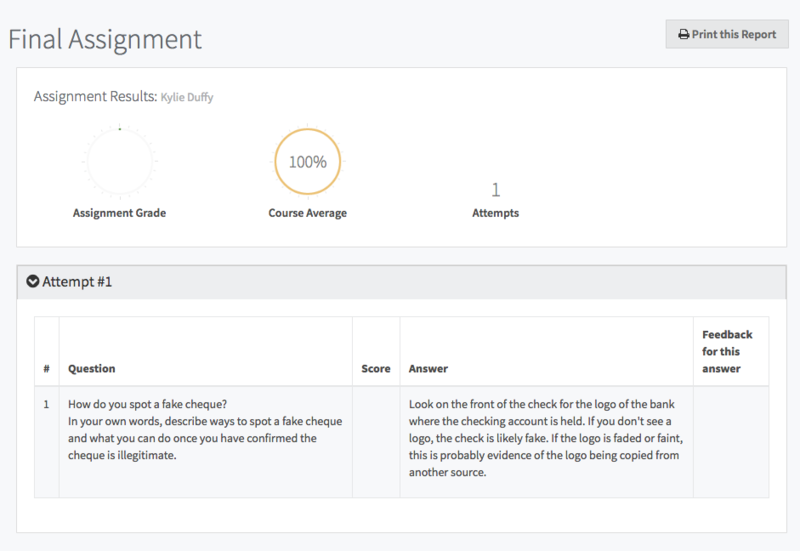 The Participant Reports screen shows you all of your users, and provides information on what Courses they've enrolled in, their progress, and their grades. 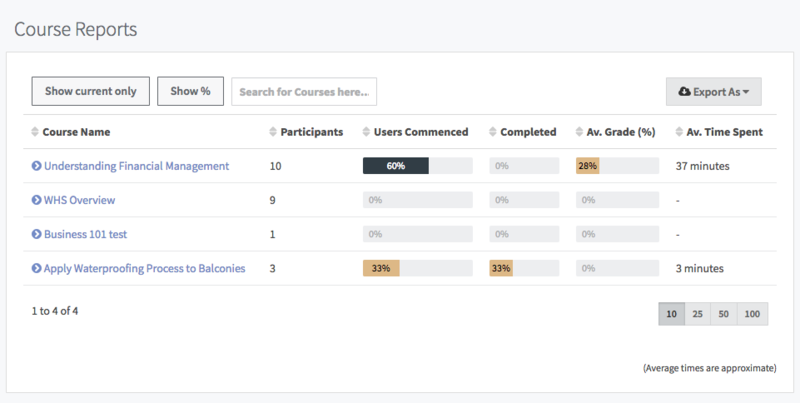 Click on an individual user to receive granular information on each module they've completed within Coassemble.